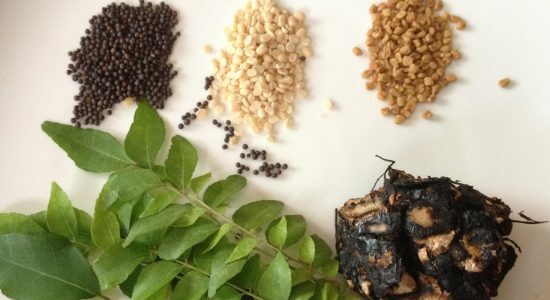 The dry vegetable curries called thuvaran or poriyal or the kuzhambus or gravy dishes would require oil only for thaalippu or tadka (seasoning). I believe in minimum oil usage in any receipe. A little bit of patient research showed me that using five teaspoons of oil in a recipe and two teaspoons did not make any difference. Only when nearly eight to ten teaspoons of oil is used, there is remarkable shine and glow in the end product. Greasy food is not healthy food. So, when I am not ready to use ten teaspoons in a dish, why use five when two teaspoons give the same result!! In fact two teaspoons is for those who really feel it is an insult to the vegetables not providing adequate oil – one teaspoon is sufficient though. I use only one. These are some of the dishes which come out really well without any bonding with the pan in spite of the one teaspoon oil. For those who find it difficult, can try initially with two. If you relish the slight glow in the finished dish while serving, use one teaspoon (or no oil) for cooking and heat one teaspoon oil and give a tadka at the end. You are nearly there with the glow of 10 teaspoon oil. I always add garlic to most of my dishes as I believe in its medicinal properties. It adds to the flavour in dry recipes and helps in combatting gastric problems. Ginger and garlic are two ingredients which can be altered as per one’s taste preferences. I really like your ‘food blog’. You have given a very special name “Dosaikal” a perfect name for South Indian Cuisine. The way you are presenting your recipes are very unique and interesting. Photos are also very good, big, sharp and clear. You have added small stories here and there to bring the readers straight to South India, to feel, to smell, and to taste the food, from where it has originated. Reading these small stories, one can instantly feel the originality and the authenticity of your cooking. Well done! I look forward to see more recipes from you. I tried this healthy recipe ‘pachai payaru thuvaran’. Step by step, I followed but I avoided garlic (since I do not eat onions/garlic). It is easy to make and simply delicious to eat with rice and rotis too. Usually I never used to add asafoetida, or ‘perungayam’ to green vegetables. 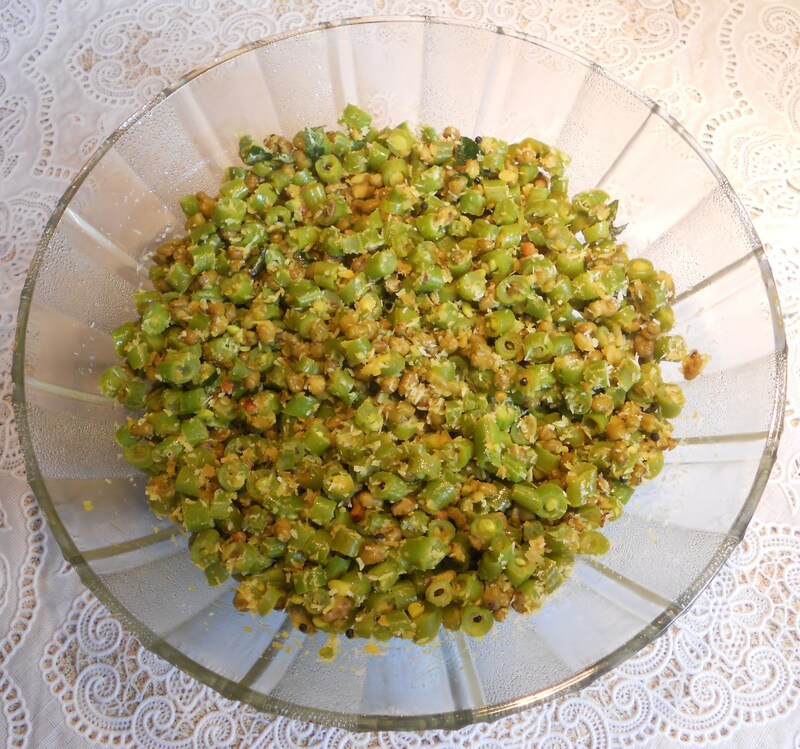 But in this case, since cooked green grams are also added, then asafoetida is a must , as this helps to prevent gas formation in the stomach, right ?. Thank you, for posting. I look forward to read your next recipe.